At Berkley Urgent Care, our board-certified physicians are available to treat a wide range of illness and injuries for adults and children of all ages. 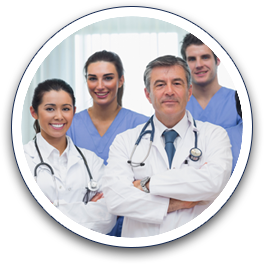 Our experienced staff, medical assistants, and technicians are trained in all aspects of Urgent Care Medicine, and we have the advanced equipment necessary to treat most non-life threatening complaints that would otherwise require an ER visit. Our modern, clean facility and comfortable waiting room, combined with our convenient hours and location, make us Oakland County’s ideal choice for getting immediate attention for everything from common colds to school physicals, injuries, broken bones, and much more. We provide our services with no appointment necessary and we take most forms of insurance, as well as welcome the uninsured. See what insurance providers we work with. We offer fast and affordable physicals for school, sports, pre-employment, employment, DOT, and more. In addition to physicals, we provide drug and alcohol testing that meets the requirements of most employers. With our minimal wait times, affordable prices, and friendly, knowledgeable healthcare team, we make getting your physical easier and more convenient than ever. Stop in for your walk-in physical, drug screening, or other occupational health needs today! Please note that the $15.00 Sports Physical only applies to ages K-12. Outside of this age, price will vary. When flu season comes around, you may regret missing out on affordable flu shots from Berkley Urgent Care. With our low prices and short wait times, there's no reason not to protect yourself from one of the most common, yet debilitating viruses. While most people can't afford to miss a few days or work or classes, at only $20, it's not hard to afford our low-cost flu shots. Covered by Medicare and other insurances as well. Protect yourself this flu season with help from the healthcare professionals at Berkley Urgent Care. At Berkley Urgent Care Medical Center, we offer walk-in emergency medical care, pediatric urgent care, and uninsured visits with an emphasis on quality care, short wait times, and affordable pricing. Additionally, we offer x-rays, as well as small procedures, such as stitches. Testing for strep, flu, mono, and more. Berkley Urgent Care provides general care services for every day ailments and common complaints that require immediate attention, but are not generally serious enough to require a trip to the hospital. For more information about our care services please contact us today to speak with a medical professional. Our conveniently located urgent care walk-in medical facility is located in Berkley, MI, only minutes from Royal Oak, Huntington Woods, Southfield, Lathrup Village, Clawson and the surrounding Oakland County cities.